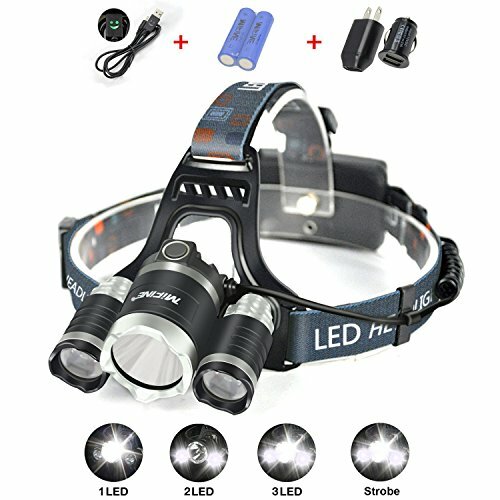 The latest headlights in 2019 - with 14 patch light beads, which is more stable than traditional bulbs: Perfect for outdoor hiking, camping, long-distance hunting, caving, climbing, fishing, boating, mining, running, cycling, dog walking, reading, household searching, construction lighting. 1. Its IPX6 rated waterproof design withstands extreme weather conditions. (Head waterproof IPX6, battery pack IPX4). 3. Don't worry that batteries are soon used up when going out. Powered by two 18650 batteries(included), you can use the wall charger or USB cable to charge it. 4. The 18650 LI-ION batteries built in charging/discharging safety microchip to prevent the battery from overheating to lead to explosion and fire. The battery box circuit board adopts IC charging protrction, which automatically stops when fully charged! 4.Short ciruit, overcharge and discharge protection. 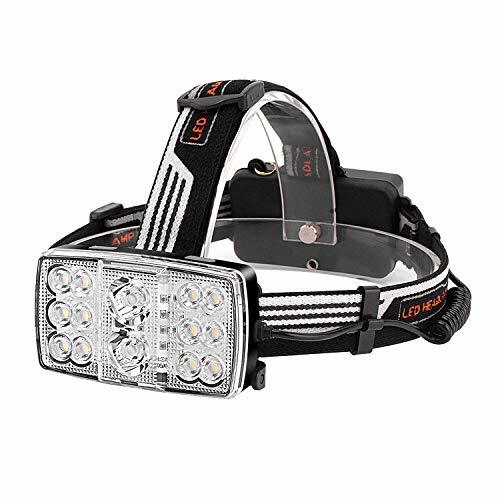 100% SATISFACTION - We are so confident you will love Mifine led headlamp that we offer money back guaranty and 12 months warranty.